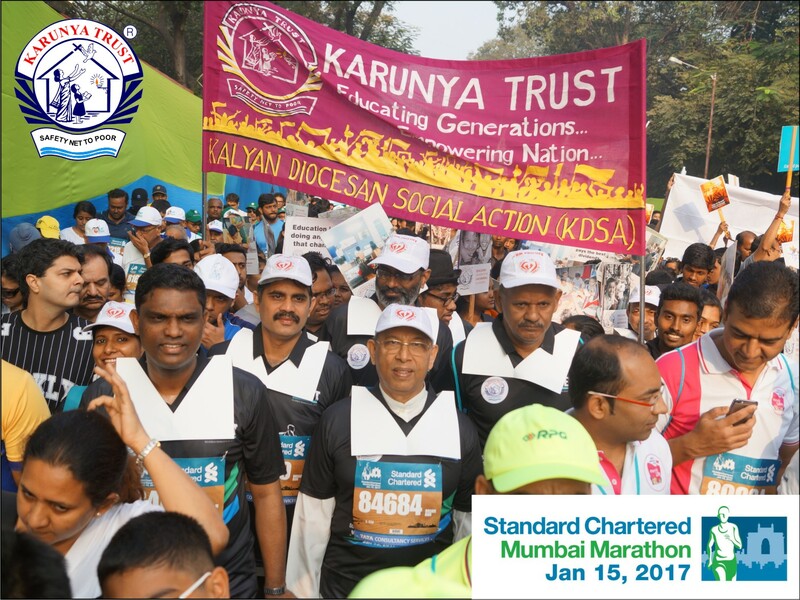 The biggest Philanthropy event of the year, the Standard Chartered Mumbai Marathon 2017 has come and went by. Before I comment, I would like to thank the Almighty God for being with our team and making Standard Chartered Mumbai Marathon 2017 a grand success. It was one of the most memorable days wherein 190 members ran for thenobel cause of Karunya Trust. These 190 members consisted of our very own Bishop Thomas Elavanal, 2 Diocesan Priests, Employees from 5 Corporates, Individual Supporters, Online Fundraisers, Pro-Life Team members, 60 Beneficiaries, 30 Staff members. I thank Corporates viz. DDecor, WERT Jeans, Jessena Marine, Deutsche Bank, Cargo Care Logistics and all individual supporters for their support without whom this event would hardly been possible. At this moment I give my special gratitude to all Online Fundraisers who have done a great Fundraising Drive for our NGO in this edition of Marathon. Last but not the least I thank all my KarunyaTrust staff members for their whole hearted support for organizing the event well.